In the following, we republish two recent and very elogious reviews of 1001 Inventions: Muslim Heritage in Our World published by FSTC in 2006 (Editor-in-Chief Salim al-Hassani). These reviews were published by Carl Kessler in CarlsBooks on 9 July 9 2009 and by Kerim Balci in the Turkish newspaper Today's Zaman on 14 June 2009. They show that the message of the book continues to filter smoothly in the media, giving rise to large adhesion from various circles, and from individuals, all seeking more mutual respect and understanding. 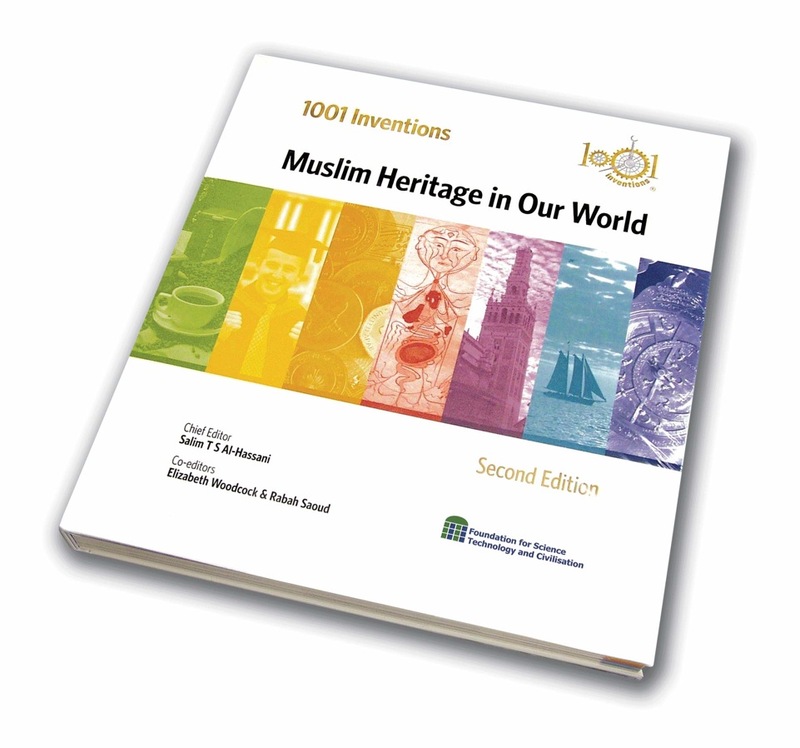 Figure 1: Front cover of 1001 Inventions: Muslim Heritage in Our World. Chief Editor Salim al-Hassani; co-editors: Elisabeth Woodcock and Rabah Saoud. Forward by Sir Roland Jackson. Manchester: FSTC, 2006. To buy your copy click here. In the following, we republish two recent and very elogious reviews of 1001 Inventions: Muslim Heritage in Our World (Chief Editor Salim al-Hassani; co-editors: Elisabeth Woodcock and Rabah Saoud. Forward by Sir Roland Jackson. Manchester: FSTC, 2006). These reviews and others (such that published by Elma Ruth Harder in Islam and Science, vol. 6, 2008, N° 2, pp. 197-199) show that the message of the book continues to filter smoothly in the media, giving rise to large adhesion from various circles, and from individuals, all seeking more mutual respect and understanding between faiths, cultures and communities. The first review republished below is by Carl Kessler in CarlsBooks on July 9, 2009: 1001 Inventions: Muslim Heritage in Our World, by Salim T. S. Al-Hassani. Carl Kessler, author of the first review on Books I've Read, is vice president of worldwide development with the IBM Software Group. He has led large software development organizations at IBM for more than a decade, primarily in the enterprise content management, systems management, security, and networking arenas. Figure 2: Professor Salim Al-Hassani, Chairman of the Board of FSTC and editor in Chief of 1001 Inventions: Muslim Heritage in Our World (Manchester, 2006), presenting award acceptance speech in London on June 5 2009, during The Association of Muslim Social Scientists in the United Kingdom (AMSS - UK) meeting where 1001 Inventions was distinguished by granting it the prestigious Building Bridges Award for 2009. See 1001 Inventions Distinguished in London by the AMSS (UK). Prior to his product development assignments, Carl Kessler was with IBM Research where his roles included director of software technology and chief information officer. Carl Kessler is a senior member of the IEEE and holds several patents. He is co-author (with John Sweitzer) of Outside-in Software Development: A Practical Approach to Building Successful Stakeholder-based Products (IBM Press, 2007, 1st edition, Paperback). 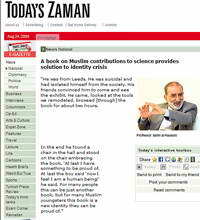 The second review appeared in the Turkish newspaper Today's Zaman (Istanbul): A book on Muslim contributions to science provides solution to identity crisis by Kerim BALCI (PDF Version) on 14 June 2009. Today's Zaman is one of the major English-language daily newspapers circulating in Turkey. Established on January 16, 2007, it is the third English-language daily newspaper in Turkey. It contains international, national, business and other news. It also has many regular columnists who cover current affairs, interviews and a culture section. It has over 40 writers and columnists. This is a must-read book for anyone who teaches world history or is interested in it. Western education skips from the advances of Archimedes, in the 200's BCE, all the way to Gutenberg's press in the 1400's CE. Was all the world in the dark ages for 1,600 years -- or just Europe? The answer: just Europe. While Europeans where burning people at the stake for inappropriate religious leanings, disdaining bathing and general hygiene, and wandering about in a stupor, the Islamic civilizations of Turkey and the middle-east were thriving. Some examples: the camera, invented by Ibn al-Haitham, born 965. Surgical instruments, by Al-Zahrawi born 936, and a complete (and correct) model of blood circulation by Ibn Nafis, born 1210. Free healthcare in hospitals - with druggists, barbers, and physicians - existed in the 1100s, with health inspectors to assure standards. Algebra, of course, is due to Al-Khwarizmi, born 780. Did you know that coffee dates to the 8th century, due to Khalid the goat hearder? The Arabic al-qahwa was served as coffee in Vienna's coffee houses in 1645. Do you like your bath? The Islamic bath picked up from the Roman Tepidarium and Caldarium, and became an integral part of the culture, as cleanliness is linked to purity in the Quaran (e.g., 2:222). So warm baths were the norm in Islamic lands throughout the dark ages. Even in 1529, Sir John Treffy was opposed to bathing, writing: "many folke that hath bathed them in colde water have dyed." [Reference: see "The old English herbals," Eleanour Rohde, 1922.] Smelly! There are dozens more of well written examples in the book. You get the idea that I'm a fan of this book. And horribly dismayed that in the West we largely manage to skip over the extraordinary advances that came from Islamic cultures. "He was from Leeds. He was suicidal and had isolated himself from the society. His friends convinced him to come and see the exhibit. He came, looked at the tools we remodeled, browsed [through] the book for about two hours. In the end he found a chair in the hall and stood on the chair embracing the book. ‘At last I have something to be proud of. At last the boy said ‘now I feel I am a human being!' he said. For many people this can be just another book, but for many Muslim youngsters this book is a new identity they can be proud of." Professor Salim al-Hassani of The Foundation for Science, Technology and Civilization (FSTC) was telling the story of a young Pakistani boy who was born and educated in the United Kingdom and had suffered from feelings of backwardness, self-hatred, an identity crisis and feeling lost among the crowds. The book that saved him from his perceived meaninglessness is called "1001 Inventions: Muslim Heritage in Our World." The book was not written in order to help suicidal Muslim youngsters. Rather, it was undertaken as part of a project by the FSTC on the history of science which is trying to shed light on the "dark ages" of Western scientific history. "In our popular scientific history books there is a thousand-year gap. The history of science [as] written by the Western academics neglects the Islamic contributions to science. You don't find anything before the 15th century, all the way down to the Greek ages," explains al-Hassani. About 14 years ago this observation forced him and a group of volunteers to start their studies in order to fill that gap. "About 10 years ago we set up the foundation that gave birth to this book and the related exhibitions," al-Hassani says. Figure 5: Logo of the global initiative 1001 Inventions, including a Book, Touring Exhibition, Teachers' Pack and educational Poster Sets. Today the FSTC is made up of about 60 scientists. About 15 people work full time, about 15 part-time and the rest are volunteers. These people work on the original manuscripts of Muslim scientists or scientists who lived within a Muslim cultural milieu, remodel their inventions digitally and, if possible, make real-sized models of them. After 14 years of work with about 15 people working round the clock, the FSTC has gathered quite an impressive amount of information about scientific innovations introduced to civilization by Muslims. Still, al-Hassani believes that they are only scratching the surface. "When we ask the experts on the manuscripts, they say that there are a minimum of 5 million manuscripts in the archives of the world. Only 50,000 of them have been worked on [up to] now. On our way we can find new names, even new sciences," he told Sunday's Zaman. Since al-Hassani himself is a mechanical engineer, the core of the work the foundation has done until now has concentrated on mechanical inventions. A particular clock invented by al-Jazari in the 13th century, called the Elephant Clock, attracted the attention of al-Hassani's group because it was not only a clock showing the time, but it was also gathering the cultural-political symbols of all the existing civilizations of that era. "Al-Jazari lived in eastern Anatolia, and yet he didn't use a cow as a symbol, but an elephant. The elephant symbolizes the Indian civilisation. Al-Jazari put a carpet on the elephant; this is from the Iranian civilization. He used a Chinese dragon within the mechanism of the clock. He had a phoenix at the top of the clock, spinning and singing every half-hour. The phoenix is a symbol of the pharaonic civilizations. The turban of the [automated] Saladin robot symbolizes the muslim tradition, and the water work within the body of the elephant uses Archimedes' principle, thus reminding us of the Greek civilization," al-Hassani says. He recalls that when he told former US Secretary of State Condoleezza Rice about this multicivilization approach, she responded by saying that through science al-Hassani and his group had created a new area for dialogue. "This is neither political, nor religious. This is the neutral zone of science," he adds. Figure 6: 1001 Inventions book next to Farah Atassi, a "Syrian-American [who] seeks to unite faiths" © Washington Times, July 2009. The book and exhibition prepared by the FSTC does not cover 1001 inventions. The number was chosen as a counter argument against the Western perceptions of Islam that remembers the tales of 1001 Nights, oriental dances and Aladdin and his magic lamp every time the word Islam is uttered. "We wanted to show that Islam has other 1001s that were the founding stones of our current civilization," al-Hassani says. The book introduces names like Abbas ibn Firnas (d. 887) who produced the first flying machine, al-Jazari (d. 13th century) who produced the Elephant Clock and other mechanical devices, al-Kindi (d. 873) who wrote 361 works on a variety of subjects including chemistry, logic, music and astronomy, Fatima al-Fihri (d. 841), a female scientist who founded one of the first universities of the classical era, Ibn al-Haitham (d. 1039) who wrote the principles of optics and invented the first ever photographic camera, Master Architect Mimar Sinan (d. 1588), who built the most magnificent buildings of the Ottoman state, and Zheng He (d. 1433), the Chinese-Mongol Muslim admiral who built one of the largest military fleets in human history. The foundation has not only published a book. It also sends the book to high schools all over the world free of charge when it can find the necessary funding. Up until now the foundation has sent books to over 6,500 schools in the United Kingdom. They want to reach to more schools though. The books are accompanied by posters that are used as educational material. Al-Hassani asks interested donors to visit 1001inventions.com to find out how they can contribute to this effort. The book and the material are being translated into nine languages; including European languages as well as Malay, Arabic and Turkish. The Turkish version will be in print soon, and it will be a little thicker than the original book because of additions about Turkish contributions to science. Professsor al-Hassani is hoping to translate the material into Chinese as well, but first he wants to start another project that will represent the contributions of Chinese scientists to civilization. "The Chinese contribution is neglected as well. We have to teach our children that we took paper from the Chinese. We have to teach them [about] the amazing ships that Zheng He built. Each one was about the dimension of a football stadium, you know," he explains. Figure 7: The time wheel illustrating the seven zones of 1001 Inventions Initiative: home, school, market, hospital, town, world and universe (Source). Though al-Hassani is quite satisfied with the job his team did in the 1001 Inventions project, he thinks that science is only one area in which the contributions of Eastern nations should be unearthed. "We have started a new project on sports in Muslim heritage," he says. He says that polo, "the royal game," was first invented in Persia. Al-Hassani has more to say about polo: "When they started this game, men and women were playing together. We have manuscripts showing men and women on horses and playing together. This has two important elements: One, the origin of the game. Second, women being a part of the games. Long before women were recognized in Europe as having a soul they were part of the sporting activities in the Muslim world," he explains. He hopes they will be ready for a 1001 Sports exhibition during the 2012 London Olympics about Muslim contributions to the history of sports. Al-Hassani has a lot to say. You have to make time to listen to the story of Kung Fu, a Muslim martial art, turned into a Buddhist monk practice. "The important thing is that this was related to the Muslim characteristic. The development of sciences, sports and arts in the Muslim world was not an accident. It was a result of the Muslim understanding of the world," he says and supports his position with an amazing linguistic word-play: "The Arabic term for sports is ‘riyazah.' But riyazah means not only the training of the body but also of the ‘Nafs,' the evil-ordained self. Sufis use this term [riyazah] for a period of retirement from worldly life and fasting. But this term is used also for mathematics: riyaziyat. Why? Because mathematics is the exercise of the mind. So riyazah in Muslim tradition has three dimensions: body, heart and mind. This holistic approach is behind all the inventions of the Muslim scientists."